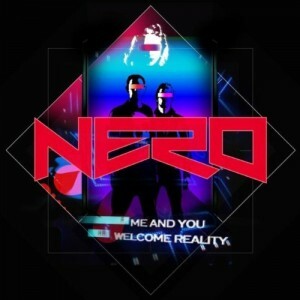 • UK electro duo Nero have seen their single ‘Me And You’ serviced to Australian radio this week. The track, already at digital retail in Australia, was a top 20 hit in their homeland and has already found a home locally on Triple J, where it’s currently among their most played tracks. An album is due later in the year. • Other new singles out to radio this week include Beth Ditto’s new track ‘Open Heart Surgery’, The Subs’ ‘Don’t Stop’, Trial Kennedy’s ‘Best Of Tomorrow’, Anna Calvi’s ‘Desire’ and ‘Climbing Hills’ – the latest single from Northern Territory rapper Emerald Sun. • Belgian outfit Aeroplane is about to release the third single from their album ‘We Can Fly’. Entitled ‘My Enemy’, the track has its sights firmly set on the dancefloor and comes complete with a heaving remix package thanks to the likes of Rex The Dog and Green Velvet. ‘My Enemy’ hits digital retail on Monday. • Last week we were getting rather excited about the prospect of a June release for the highly anticipated albums for both Wynter Gordon and Zoë Badwi. Sadly this week it seems they’ve both dropped off the release schedule and into the ‘TBC’ pile, but Wynter’s still ETA in June and Zoë’s ETA is now July. Always keep your eye on Thursday’s release schedule for the latest in CD retail dates. • Speaking of the Warner Music release schedule, though no firm dates are revealed, there’s mention of new albums for Eskimo Joe, Jill Scott, Red Hot Chili Peppers, Christina Perri, Michael Buble and Muse in the months ahead. 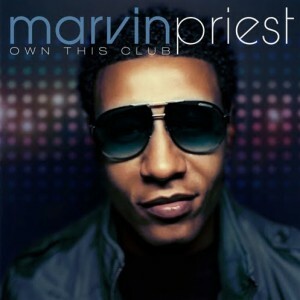 • Seems like us Aussies have taken Universal Music signing Marvin Priest (pictured) to our hearts. His debut single ‘Own This Club’, co-penned by Sydney’s DNA Songs, has hit the top ten on the ARIA singles chart this week and has now been classified gold for sales of more than 35,000 copies. The singer is currently in New York penning his debut album. • Damien Leith must also be doing something right with his latest venture on the music charts. His album ‘Roy’ has also been awarded a gold certification after just three weeks on the chart. • It’s a bit hard for pop artists to get a look in here in Australia, which is why the team from Pop Sounds has created a very special night in Sydney where you can see some of Australia’s brightest and most impressive undiscovered pop stars. The next event is in Paddington next month, so you’d best head HERE to find out what you can do to show your support. • New York rap outfit Onyx are about to visit Australia for the very first time, performing shows in Sydney, Melbourne, Brisbane and Perth as part of their ‘Bacdafucup Tour’. Tickets (from Moshtix) are on sale from this Thursday. • On the UK singles chart this week, Bruno Mars has hit the No.1 spot with his latest single ‘The Lazy Song’. It just knocked off LMFAO, who drop to No.2. Roaring into the top ten at No.4 is Pitbull’s new single ‘Give Me Everything’, while Lady Gaga’s ‘The Edge Of Glory’ is the week’s highest new entry at No.06. • He plays Doctor House on the hit TV show ‘House’ and now Hugh Laurie is a chart star too – his long player ‘Let Them Talk’ debuting at No.2 on his homeland’s top 40 albums chart. Further down the list, there was a debut from Glee/The Warblers at No.07, while Sade’s ‘The Ultimate Collection’ debuted at No.08. Yet another great News Wrap for the week. Thanks AuspOp. Finally got a copy of Jennifer Lopez’s Deluxe Love?, nice packaging. Found it on JB…but another store still didn’t have it so might still be few out there.